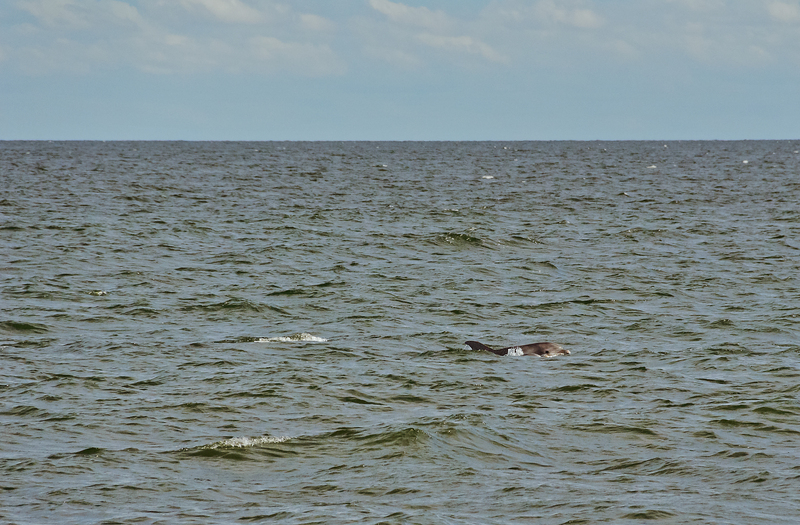 The dolphin is one of my favorite animals, though I’m not exactly going out on a limb by saying that. 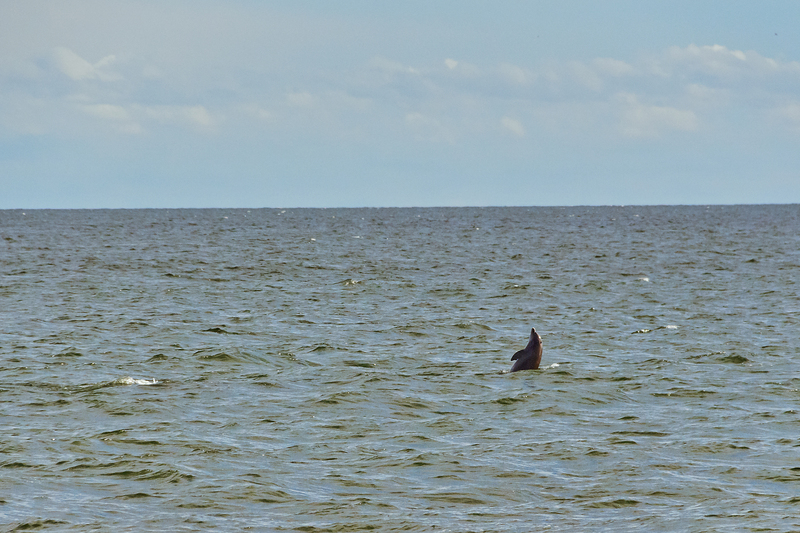 I mean, who doesn’t love dolphins? 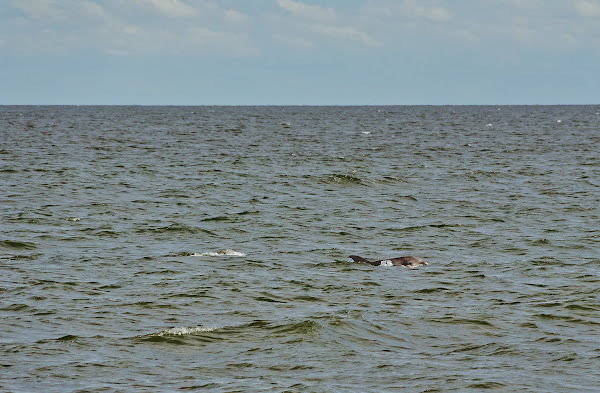 I’ve been on a few whale/dolphin watching cruises, which are a great way to see them in their natural habitat, but in Cape May I don’t even need to leave the beach because it is quite common to see dolphins swimming offshore. 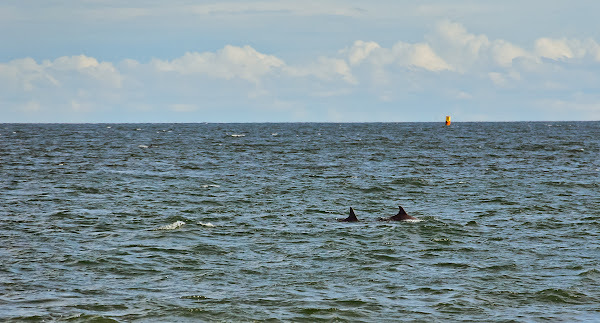 During my most recent visit a couple of weeks ago, I managed to capture some of them with my camera. 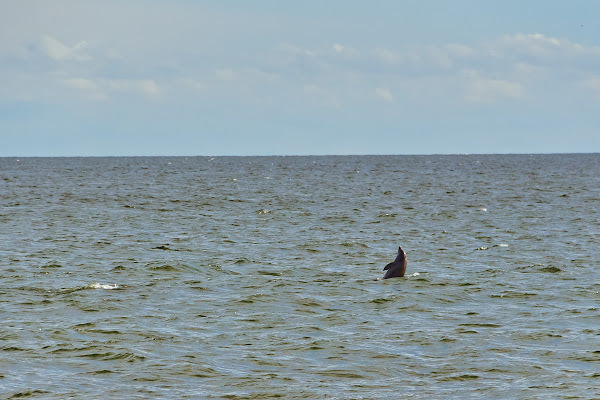 The photos are bit grainy and soft because of how far away the dolphins were and how much of the images I had to crop, but they still turned out pretty well considering. You can click on any image to view a larger version.